He shall be like a tree planted by water that extends roots by a stream, will NOT fear heat, its leaves green, not anxious in drought nor cease to yield fruit. The desert is a hard, unforgiving place. God seems to have a pattern of leading His people to the desert: from Moses to King David, to Isaiah, Jeremiah, Ezekiel, John the Baptist, the Apostle Paul, Jesus, and many others. All these individuals had been driven to the desert to experience God. 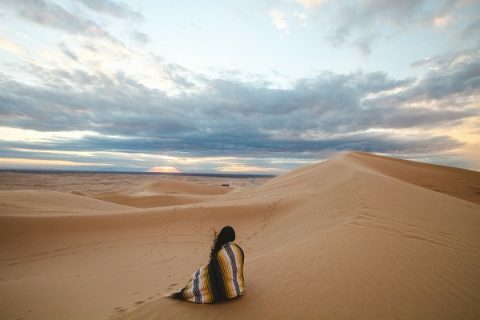 The desert is a place of thirst, with brutal temperature changes from unbearably hot during the day to freezing cold at night. And if the desert climate doesn’t do you in, there is danger from wildlife and deadly insects—AWESOME, right? So why would God lead His people to the desert? To kill them? To torture them? The desert places in the Bible were not locations where God led His people to drive them off a cliff. The desert was a place where God brought His people to the point of total dependence, and then provided for them in extraordinary ways. 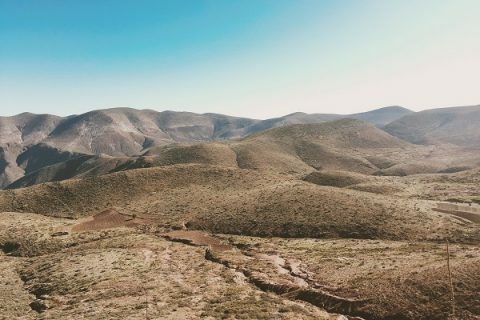 These desert places were transformed from a place of danger and dread to a place of refuge and provision. The desert became the place where God taught His people to walk with Him—a place where God came and lived among the people He so loved. The desert became a place of intimacy with God, where the Word of God did not dehydrate and dissipate; in the desert the Word of God came to life. I shared a little bit in my last post about my journey which lately seems like a desert place (link to previous). There have been days in which I struggled in the morning just to put my feet on the ground and start the day and then struggled to continue the day through to the end. How do I walk with God in the desert? I have felt alone, left to decompose by the elements that have been beating down with relentless force. I recently began to study the desert’s vegetation and animals. The desert is actually home to me, so I went back in the recesses of my mind to Tucson, AZ, where in high school we took a class called “Desert Survival.” I know that if God has led me to this place, then He will provide for me here. Yet to be honest, I don’t like God’s provision in the desert because I don’t like the fact that I’m here at all. In my last blog post on the desert broom tree, God showed me He has provided just enough shade in this desert place to decrease the intensity of the heat and make it bearable for me. God is my shade at my right hand. I am not the only one in this desert place, but the vastness of the desert often makes me feel that way. Recently, I found myself speaking praise out of one side of my mouth for the shade God provided, and out of the other side of my mouth curses for calling me here. I found myself asking WHY, as the frustration of this place rose within me. Can anyone relate? God showed me the acacia tree, so I want to show you as well. The acacia tree is a relatively slow-growing tree; it takes around 20- 30 years to mature. 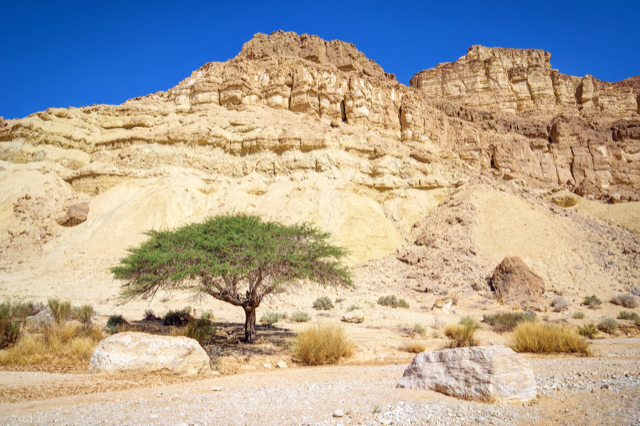 According to Jewish plant experts, this tree will grow much taller than the broom tree: at full height an acacia will be six to nine feet tall. The leaves of an acacia tree all come together at the top and cast an umbrella like shade across the desert floor. The welcome shade decreases the heat for groups of travelers as well as for their animals. Native to the Judean Negev desert, the acacia has evergreen leaves and is found only along dry river beds that are subject to flash flooding in the desert. The roots of the tree drive deep into the earth, further than most desert plants, finding the smallest bits of water to survive. When the rains come and the floods rise, the packed earth of the desert floor cannot receive all this water; however, the acacia trees readily soak up the excess. In addition to providing shade for desert animals and Bedouin travelers, its leaves produce food for camels. 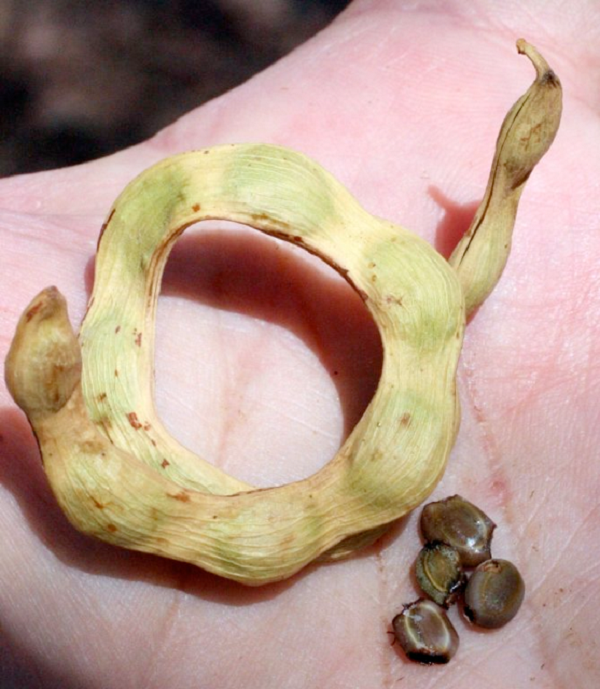 The pods (fruit) that the tree bears become food for deer and other desert animals and are also used for reproduction of the tree. The wood of the acacia tree is incredibly hard and difficult to chop down; acacia branches will burn long into the night to keep the Bedouin nomads warm and protected. 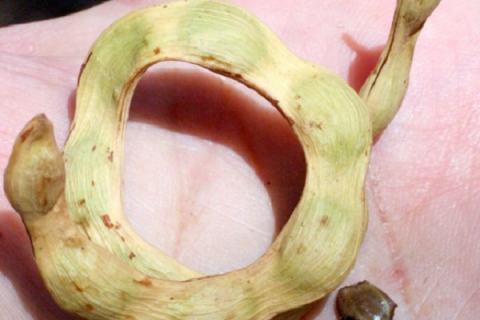 In periods of severe drought, the tree will go dormant; yet at the first sign of rain, the acacia will burst back to life and produce its fruit in season. The acacia is an incredible tree! The prophet Jeremiah was often in the Judean desert, and the acacia is quite probably the tree he is speaking of here in chapter 17. When we read this verse (and a similar passage in Psalm 1), we may think of a tall Oak tree planted by a rippling stream—a lush and beautiful source of complete shade towering above green grass, colorful flowers and cheery butterflies. That is the picture we want—a soft place. We sometimes believe that if we follow God, He will lead us to greenery and comfort 24/7. 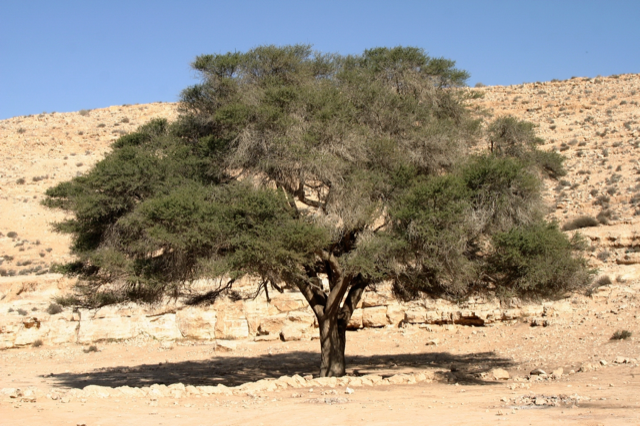 Yet what if this acacia in the desert is the tree that Jeremiah speaks of? 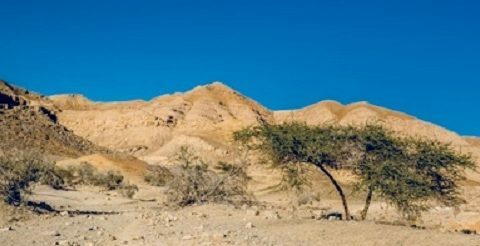 What if he’s referring to this tree that survives in the harshest conditions in the Negev, giving shade, food, protection and care to others who are traveling through? This tree is planted by the dry river beds, with its roots extending deep into the empty riverbed, awaiting the waters that will rush in during monsoon season. The acacia will not fear when the heat comes; even with such little rainfall throughout the rest of the year, its leaves remain green. The acacia is not anxious in a drought because it will go dormant just waiting for that next drop of water which will bring it back to life and produce fruit. What if this is what we are called to be? What if God was our shade, our broom tree, at our right hand so that He could grow us into an acacia tree on the desert floor? Oh, we don’t like it. I don’t like it. I would rather someone else be the acacia tree so that I can navigate through this place as fast as humanly possible… but what if God was our shade so that we could be the shade someone else needs in the same place? The Word of God says we will be blessed in this desert place if we can trust in the LORD. Psalm 1:2 tells us how we can be that tree firmly planted; it comes down to meditating on God’s Word day and night. We have to be in God’s Word and know what God says. We have to know what He promises and hold on to that promise in the times of flood, drought, rain and heat. Regardless of our current condition, God calls us to trust in that Word that He has given us. The only way to trust in His Word is to know what it says. To be an acacia tree is a high calling where deep roots are required for survival. Our desert survival depends completely on soaking our roots in the Truth of God’s Word. How deep are your roots, and what are they soaking in? Are you soaking in the ever-changing landscape of the world around us, or in the unchanging Truth of God’s Word and His promises? When have you been called to be an acacia tree to someone else? How was God your shade so that you could be shade to others? 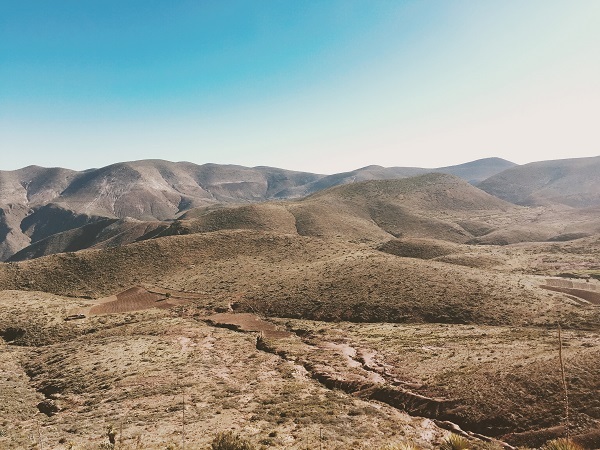 Often we feel so alone and isolated in these desert places, which is why when you share your story of God’s provision, you become that oasis in the desert to someone else. Today I will seek out that Living Water found in the God’s Word even in this desert place. I will seek to be that acacia tree for someone else as they travel through the same desert, so that they know that they are not alone and that God is who He says He is and His promises are all yes and Amen in Jesus (2 Corinthians 1:20). Oh, that we may rise out of the desert floor to become an oasis for others! 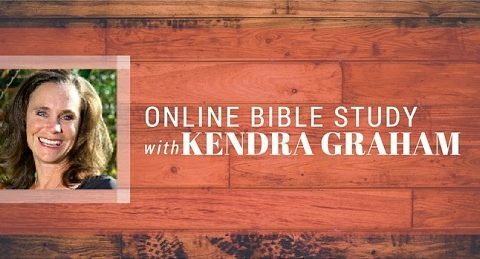 Want to participate in Kendra Graham on line Bible Study please. Hi Kendra! Are you watching the ‘That The World May Know’ dvd series by Ray Vander Laan? He addresses this topic of being in the desert in dvd#12, Walking With God In The Desert. I wondered if you were familiar with the series when you also, not long ago, addressed Mark 15 with Christ’s crucifixion as the coronation of a King by the Roman soldiers (a topic RVL discusses in dvd#14, The Mission of Jesus). Great series and a great teacher! Amen!! It’s so hard. We feel so alone, and yet we aren’t. Sometimes it’s hard to find that water… but it’s there. I have been begging God to allow it to soak in…. these days are hard. So blessed you are here! I am really getting a lot out of this study on the desert I was interested in the root of sin and how it needed to be pulled out by the root. Now this side of looking at our roots in the Lords leading desert is awesome Kendra even using scripture in 2 Corinthians love it!!! I love the roots too! I have been looking at roots of every kind! Roots are really important glad you are here! Thanks for the encouragement. We are not alone ? Thank you so much for sharing this. I am going through my own desert now. I am so thankful for the shade God provides and my strong roots that keep me from being too discouraged in this journey. It’s not always easy but with God I can get through it. Don’t know how I “stumbled” on this site tonight – my heart so heavy and confused about many things I’ve been dealing with for now quiet a few years (a desert!) . Seems like no matter how much I beg God to make this better or just outright make it all go away, that isn’t the answer I’m getting. I do however believe in my heart this is an intense time of spiritual development that I don’t think I actually asked for ? . Thank you Kendra for your intense studying of God’s Word, and, research in everything from Rome to botany, to bring these devotions to many people who will glean great spiritual insights from them – including myself! Love everything about the wonderful Graham family’s wonderful ministries! And now I have a new one for my list. Thank you!